BuggyBoard Mini? 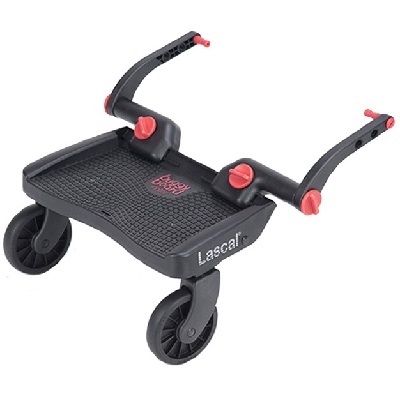 provides security for your child in crowds and high traffic areas. 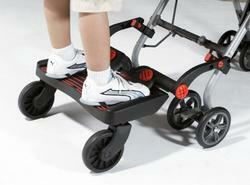 When your child is too tired to walk, or when you are in a hurry, the BuggyBoard Mini? makes it easy for both of you. The BuggyBoard Mini? 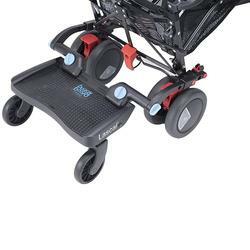 is designed to easily be attached to the upright tubing of a stroller or to the frame of a pram with a width between uprights of 26 - 50 cm (10" - 20"). Maximum circumference of 8 cm / 3,2?